Palast is the author of Vultures’ Picnic: in Pursuit of Petroleum Pigs, Power Pirates and High-Finance Carnivores. This is not the first courtroom where I’ve faced off against BP, British Petroleum. But this time, I was outdoors, with a patrol car’s red lights spinning. 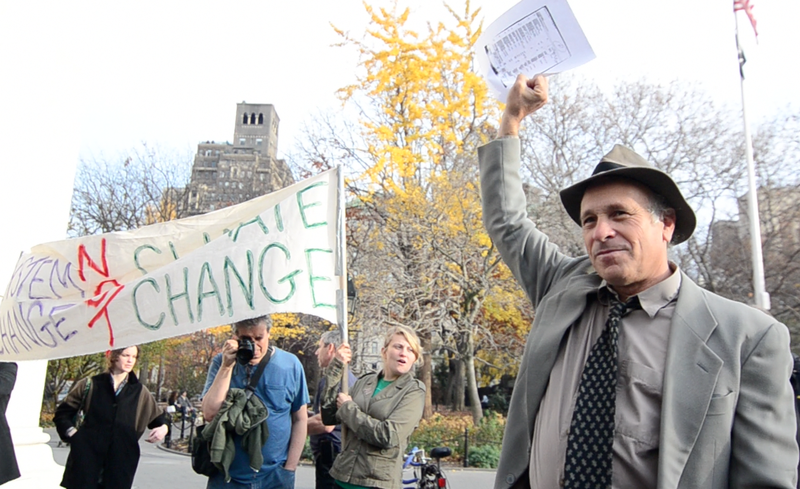 Occupy Wall Street asked me to act as “prosecutor” in the Climate Court in their relocated locale in a New York park. I have the cold, hard, documentary evidence in my hand, gathered with the help of Greenpeace and their submarine (no kidding) in the Gulf of Mexico, in the Caspian Sea, in Alaska. It’s jive. But jive the US media swallows, washed down by millions in ad bucks. Just six months after the spill, NPR, on a program called “Science Friday,” announced that Nature was almost done cleaning up all the Deepwater Horizon crud and crude. Then Greenpeace took me out on a screaming-fast Zodiac dinghy, shot out a mile off the Mississippi coast and told me to jump overboard. Hey, thanks. I plopped right into an oil mat as big as a sofa. And this was six months after the Deepwater Horizon spill and 150 miles away from it. Sludge all over the place: miles and miles and miles of it. “All gone,” my patoot. Palast will bring the evidence to Madison, New Mexico, New York, DC, Texas and beyond, starting today in Chicago. Check out tour cities. I wasn’t surprised. I had chartered a plane into the Prince William Sound, Alaska, two weeks earlier and jumped into pools of oil from the Exxon Valdez””dumped there 21 years earlier. What the Occupiers didn’t know is that I really had been the prosecutor, actually, the lead investigator of fraud, in a real federal courtroom trial of British Petroleum some two decades earlier. Well, that’s another story. All I can tell you is, BP walked, giggling, after poisoning the coast of Alaska. … BP had covered up an identical blow-out, just like the Deepwater Horizon rig’s, two years earlier, on the other side of the planet. BP covered it up””with the connivance of the Bush State Department. I have the film. 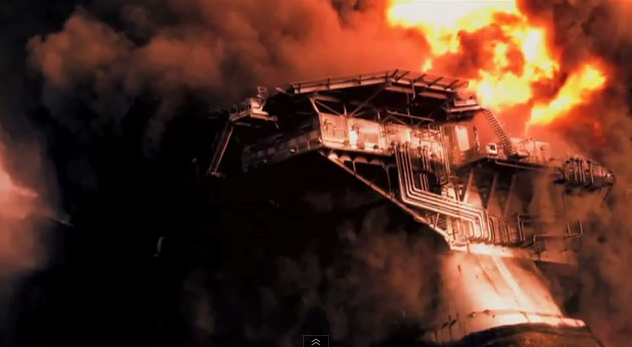 … BP’s Alaska Pipeline, like the XL Keystone Pipeline, is using deliberately faulty safety measurement equipment. Why the hell would they do that? It’s cheaper, that’s why. Saves them billions. I have the eye-witness statements. … The Deepwater Horizon oil is all over the place””carcinogens spewed over 600 miles of coastline still uncleaned. Sure, they have a few crews of Black men (see the film) skimming the beaches with kitty-litter scoopers (no kidding). But that’s clean-up theater. A fraud. A con. But I couldn’t go on, as I have in “real” courtrooms, for hours and days on end with the evidence. I was on the “Peoples’ Microphone,” no amplifiers allowed by the patrol car with the spinning red light. So every word had to be chanted by the crowd for all to hear. Well, OK then. They’ve got Fox and CBS and the Petroleum Broadcast System and we’ve got the Peoples’ Microphone. And that is WHY we occupy. Anyway, don’t take my word for it. Join the jury, join the Occupation and read the damn evidence yourself. It’s right here: Vultures’ Picnic: in Pursuit of Petroleum Pigs, Power Pirates and High-Finance Carnivores. And here’s the segment Greenpeace is posting today. Greg Palast is the author of Vultures’ Picnic: In Pursuit of Petroleum Pigs, Power Pirates and High-Finance Carnivores, released this week in the US and Canada by Penguin.